Something that first-time travellers to India quickly learn: there’s simply no such thing as “Indian food.” Instead, the country’s size and diversity ensures that each region has a deliciously idiosyncratic cuisine all its own. 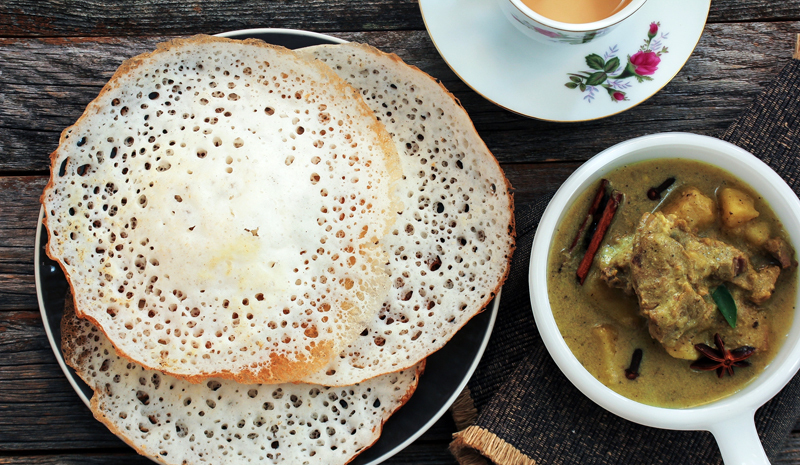 A Kerala breakfast staple, appams are similar to dosas, but are slightly thicker in the centre (and are sometimes made with coconut milk). With a meat or vegetable stew alongside, the dish makes for a pleasingly hearty start to the day. 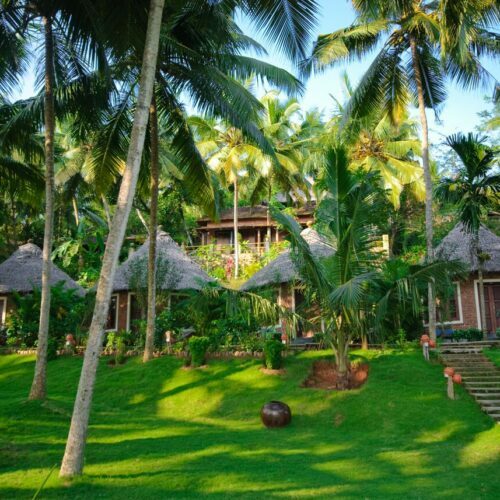 Seaside Kerala is famous for its brimming backwaters and beautiful coastlines, so it’s hardly a surprise that the southern state has a way with seafood. Be sure to sample meen moilee, a spice-rich fish curry made with coconut milk, flavoured with mustard seeds and golden turmeric, and served with rice. 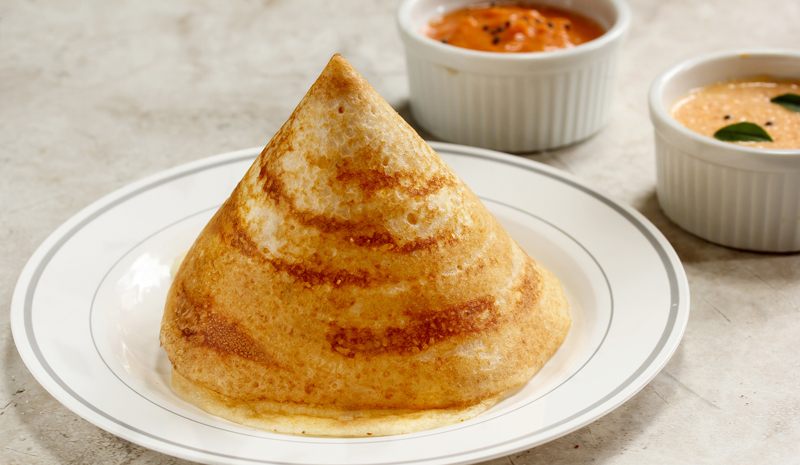 Few traditional Keralan dishes are as revered as masala dosas. The dish consists of a thin, crepe-like pancake—made with fermented rice and lentil batter—stuffed with a spiced potato mixture. 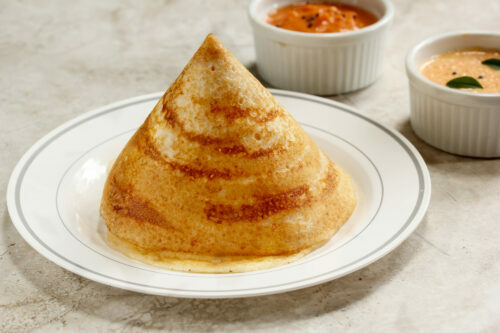 Ghee roast dosas, which sees the pancakes cooked in clarified butter until crisp, is another popular option. 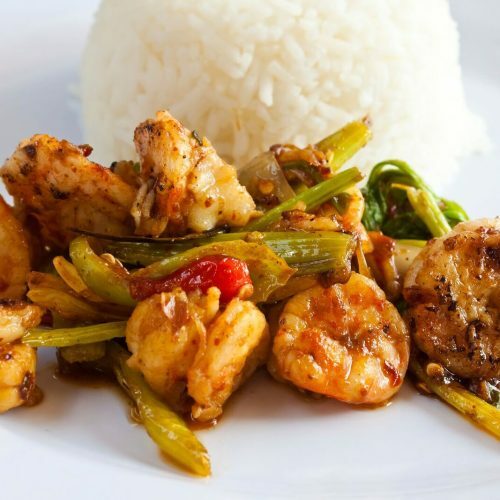 Hailing from Malabar, Keralan prawn curry—or chemmeen curry—is another coastal dish that evokes pleasant afternoons by the sea. Coconut, tamarind, jaggery, and a flavourful spice paste all contribute to this local favourite. In Kerala, mango isn’t just reserved as a sweet treat. It’s also used in all manner of curries and savoury dishes, including pacha manga curry. 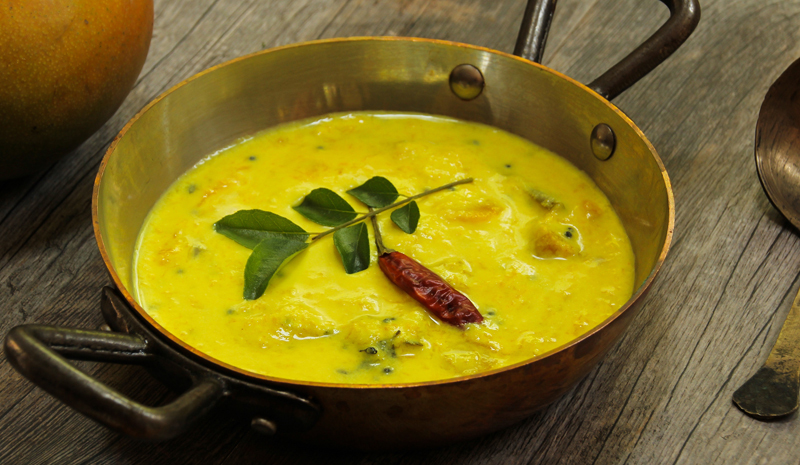 In this dish, raw, green mango is accompanied by coconut milk, fenugreek, mustard seeds and chilli. 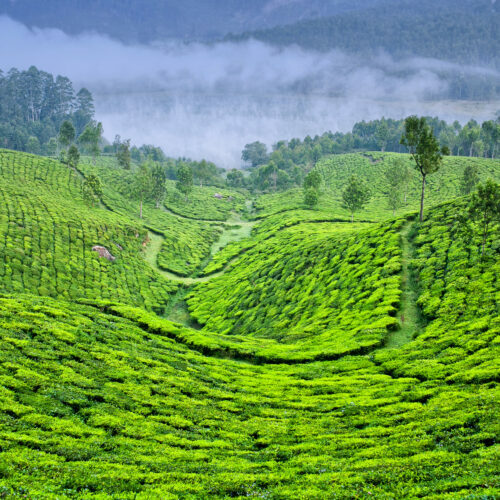 Though biryani is most frequently associated with places like Hyderabad and Lucknow, Kerala has its own take on the beloved rice dish. Thalassery biryani uses short-grained kaima or jeerakasala rice in lieu of long-grained basmati rice, plus a litany of delectable spices (and optional add-ins like coconut oil and rosewater). 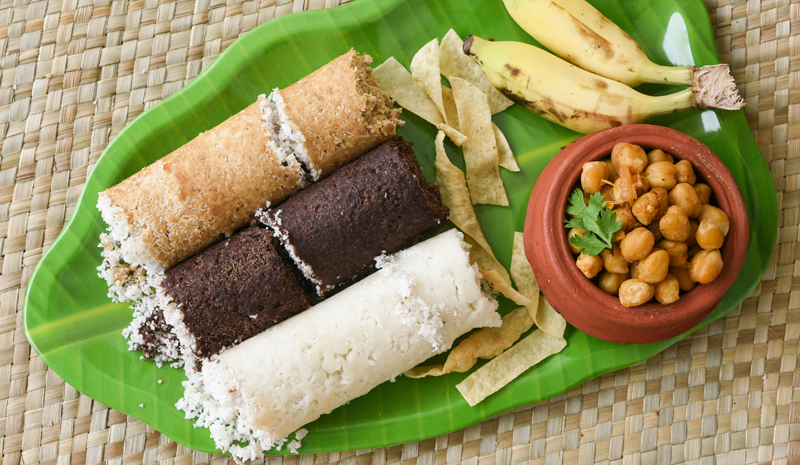 It isn’t a culinary tour of Kerala without a plate of puttu. Little cigar-shaped, steamed rice and coconut cakes, they’re often used as an accompaniment for savoury dishes, such as kadala curry, as well as fruits like bananas and jackfruit. Warming, slightly sour, and thrumming with chilli heat, rasam is a must-try traditional Keralan dish. A brothy, comforting soup, it’s prepared with tamarind extract, tomatoes, curry leaves, and plenty of spice. Kerala’s answer to the thali, a sadhya is the perfect way to sample a wide range of dishes in a single meal. 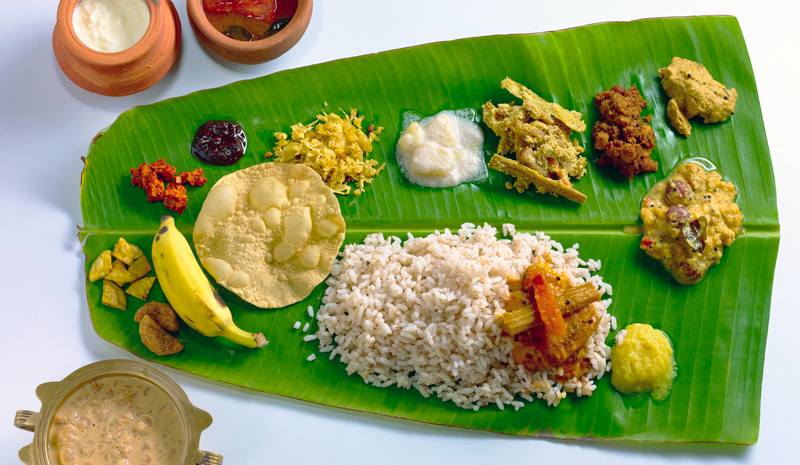 Typically, a banana leaf is used as a platter for a number of vegetarian offerings, including rasam, sambar, sour yogurt curry, spicy mango pickles, poppadoms, and more. Pillowy little idli—small, steamed discs made from lentil and rice flour—are a popular breakfast staple across South India. Serve with sambar (a tamarind and lentil stew) and coconut chutney for a real feast.